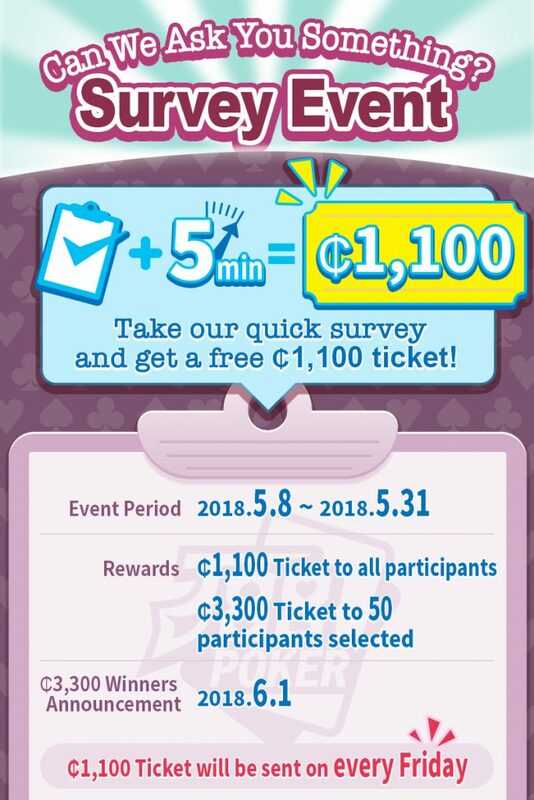 Chance to get free ticket! Help us understand what J88poker VIPs think about J88poker. Your opinion counts and it helps us improve the J88poker experience. ₵1,100 ticket will be sent on every Friday! We will select 50 people among the respondents who provide valuable response, and give ₵3,300 tickets. ₵3,300 winners will be announced on June 1st. One person can join the event for only one time. Players who joined the event for several times get only 1 reward. You may be excluded from the event if you commit or are engaged in any fraudulent activities.